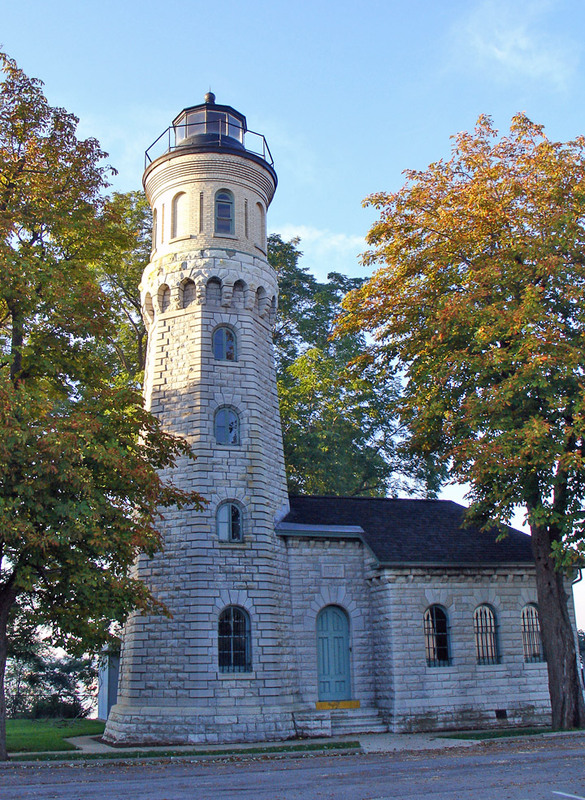 The lovely stone lighthouse was built in 1871 and used until 1993. 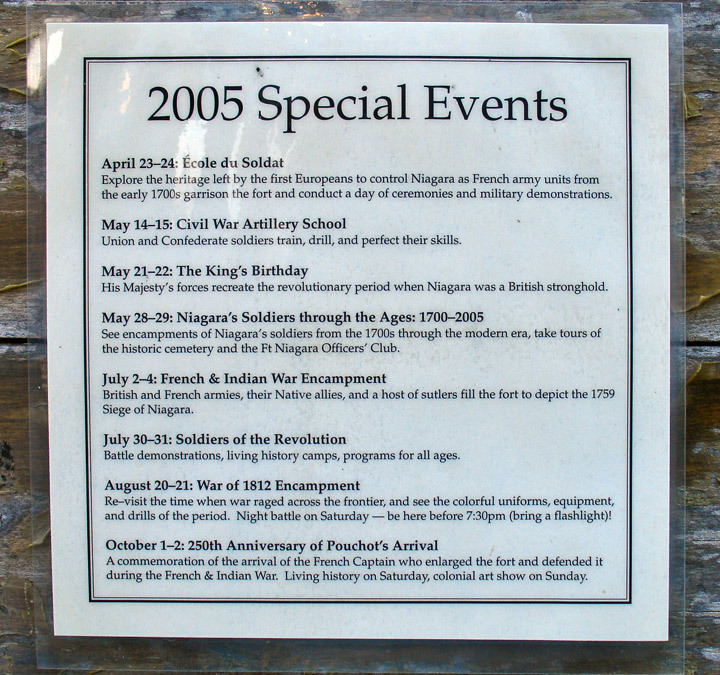 The history of Old Fort Niagara spans more than 300 years. 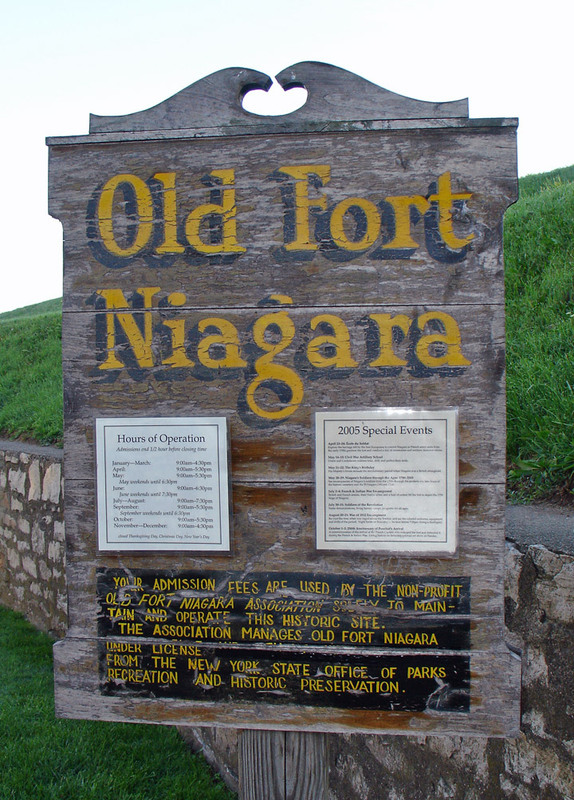 During the colonial wars in North America a fort at the mouth of the Niagara River was vital, for it controlled access to the Great Lakes and the westward route to the heartland of the continent. 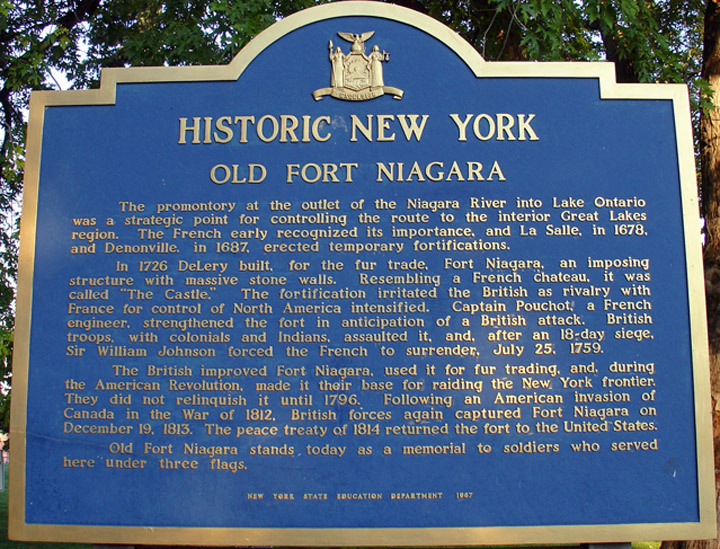 With the completion of the Erie Canal in 1825, however, the strategic value of Fort Niagara diminished. It nonetheless remained an active military post well into the 20th century. 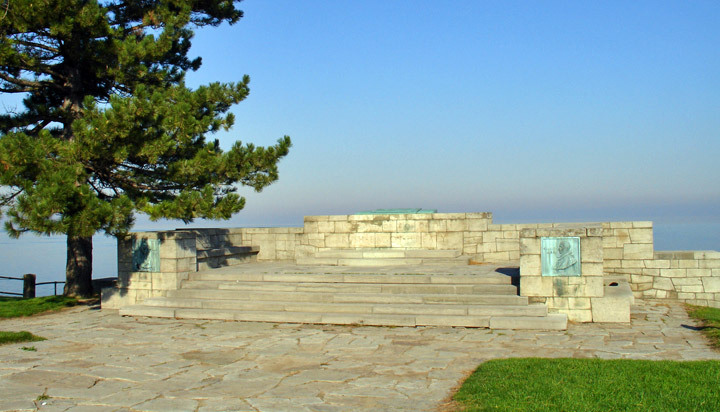 The three flags flown daily above the parade ground symbolize the nations which have held Fort Niagara. Each competed for the support of a fourth nation: the powerful Iroquois Confederacy. 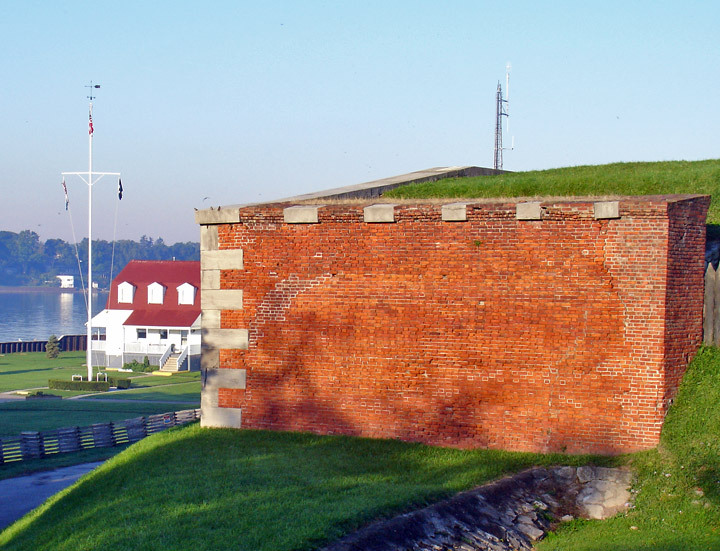 The French established the first post here, Fort Conti, in 1679. Its successor, Fort Denonville (1687—88) was equally short—lived. 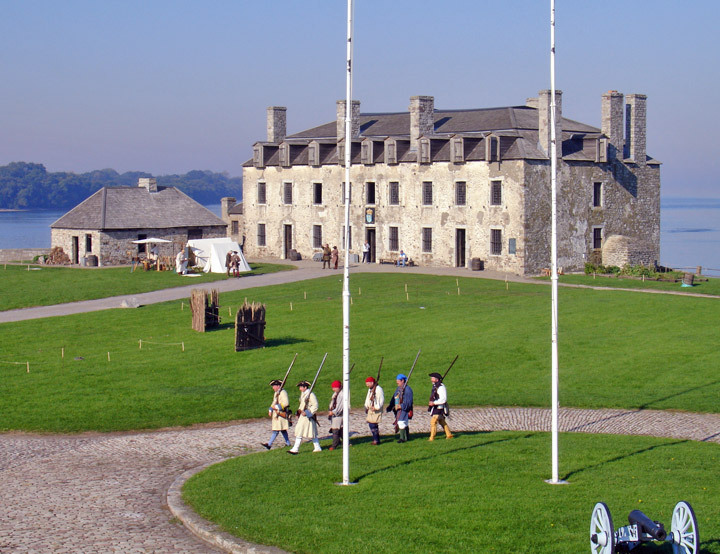 In 1726 France finally erected a permanent fortification with the construction of the impressive “French Castle.” Britain gained control of Fort Niagara in 1759, during the French & Indian War, after a nineteen-day siege. The British held the post throughout the American Revolution but were forced, by treaty, to yield it to the United States in 1796. 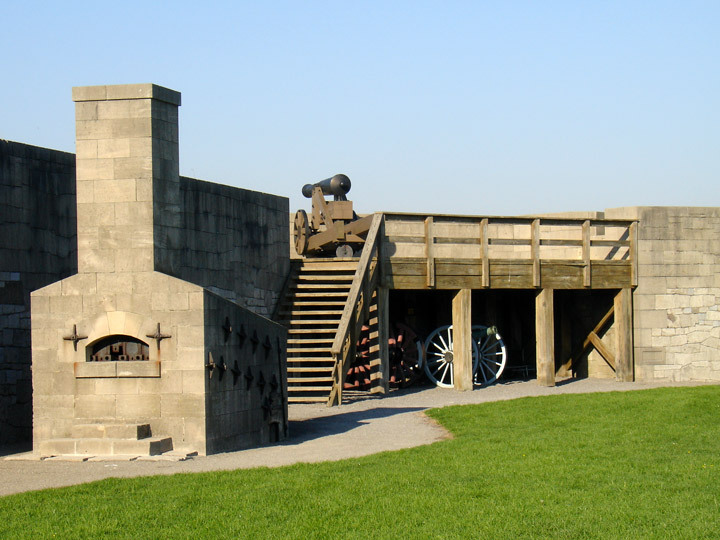 Fort Niagara was recaptured by the British in 1813. It was ceded to the United States a second time in 1815 at the end of the War of 1812. 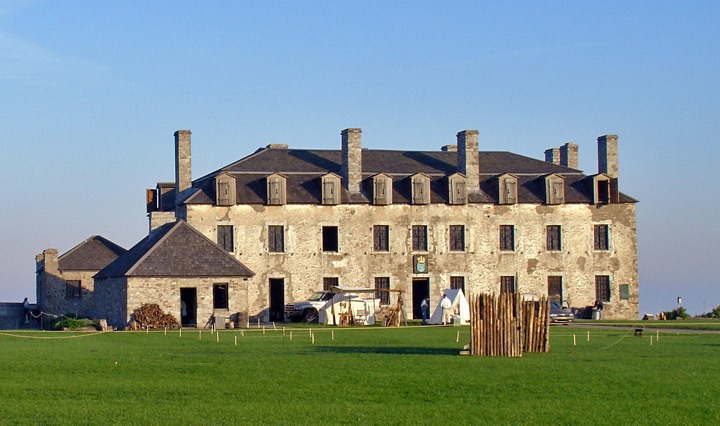 British construction of Fort Mississauga on the Canadian shore in 1814 exposed the interior of Fort Niagara to bombardment. 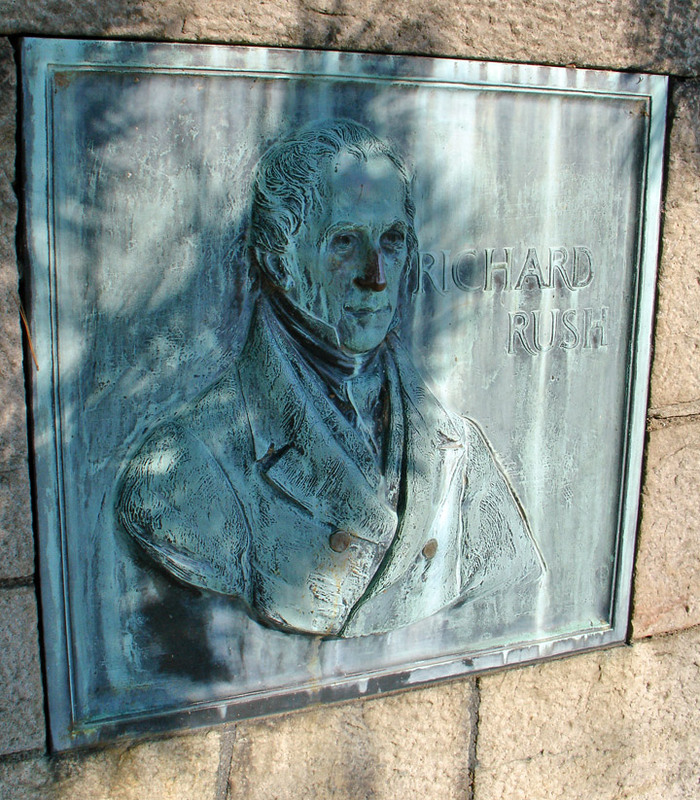 The problem was remedied between 1839 and 1841 by erection of the massive River Wall. This was of uniform height for its entire length until 1889 when the northern end was torn down. The difference in the stonework resulted from a change in stone suppliers between 1839 and 1840. Guns on the Hot Shot Battery face Fort Mississauga, were visible across the river in Niagara-on-the-Lake, Ontario. Adjacent to the batter is the Hot Shot Furnace, completed in 1843. Here cannon balls could be heated to nearly white-hot. When fired into a wooden ship or building, hot shot would quickly set it afire. 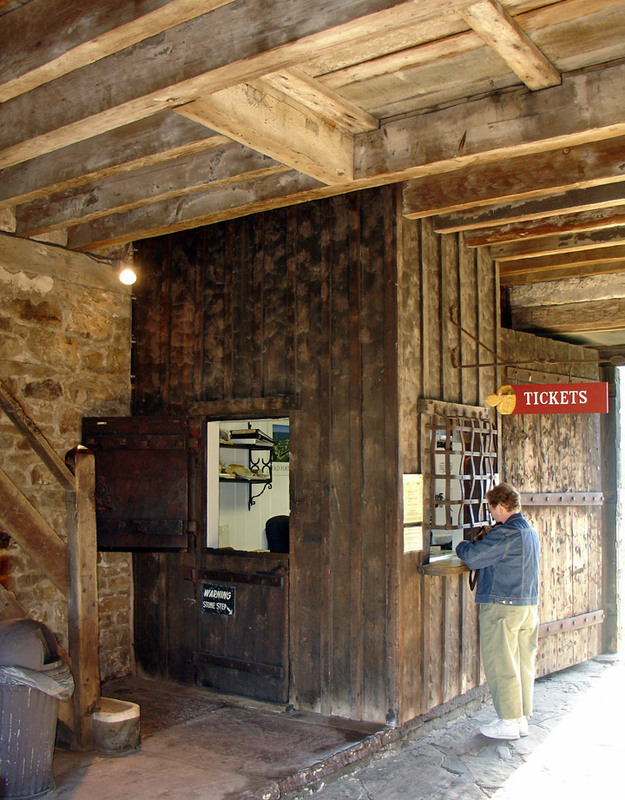 The arched Postern Gate was the main entrance to Fort Niagara after 1839. 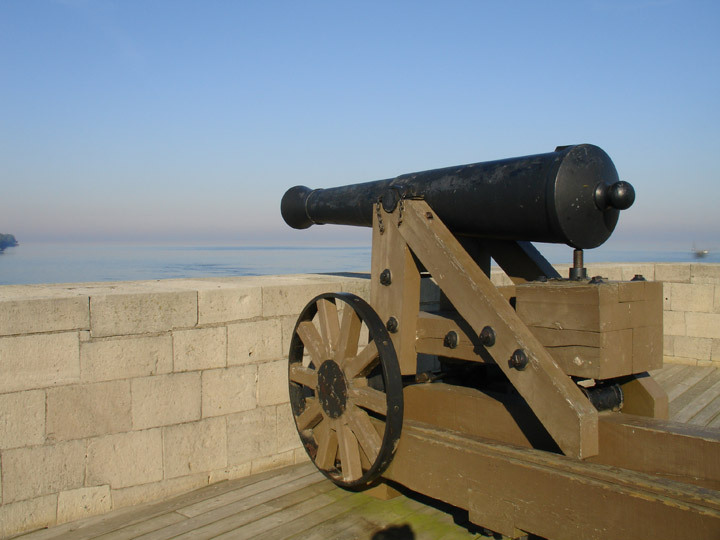 An early armaments agreement was signed by the United States and Great Britain in 1817. 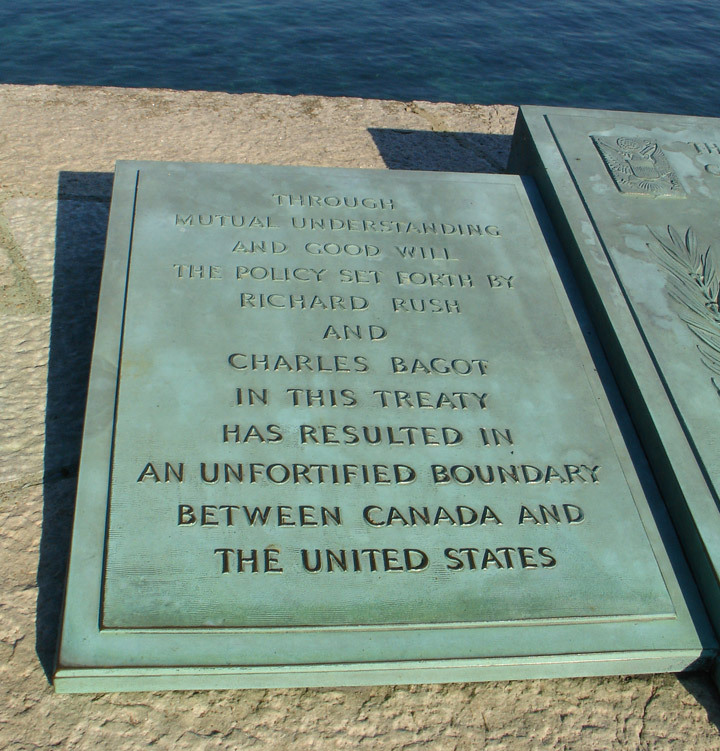 Named for its chief negotiators, Richard Rush and Sir Charles Bagot, the treaty limited naval forces on the Great Lakes. 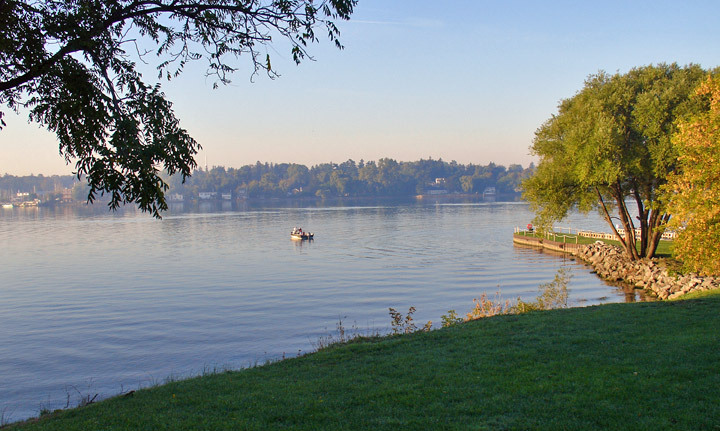 The true monument to such efforts is today's unfortified 4,00-mile (6,400km) United States-Canada border. 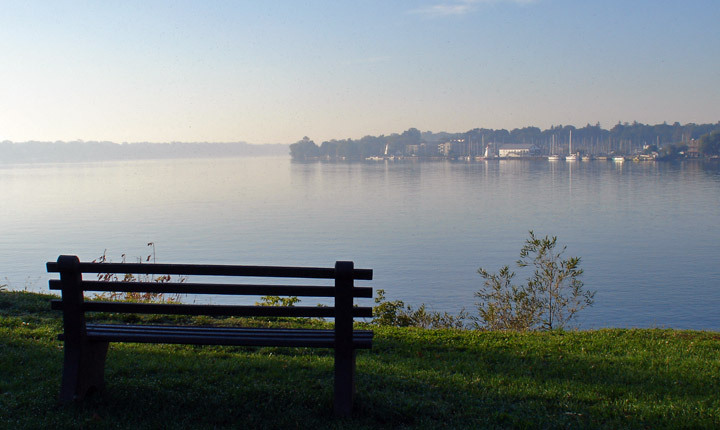 In clear weather the skyline of Toronto, Ontario can be seen across the 27 miles (43km) of Lake Ontario. 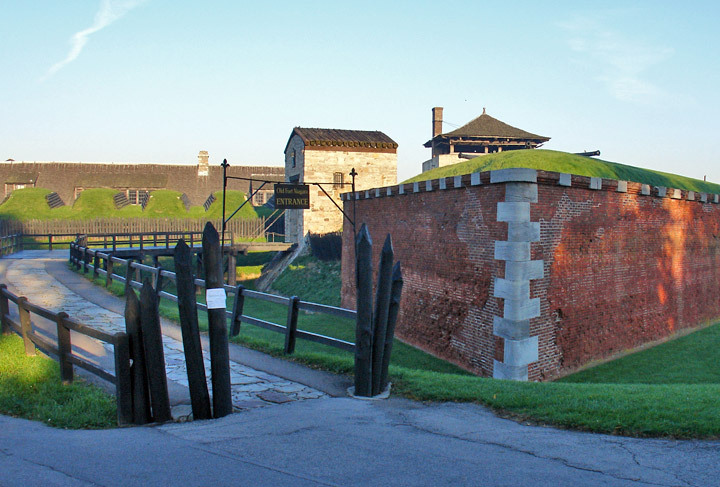 Visible inside the Fort are the three historic flags commemorating the nations that have held Old Fort Niagara. The white French flag was flown here from 1726 to 1759. It was the official banner of the Marine Department, responsible for protecting France's colonies. The British Union flag waved here from 1759 to 1796. 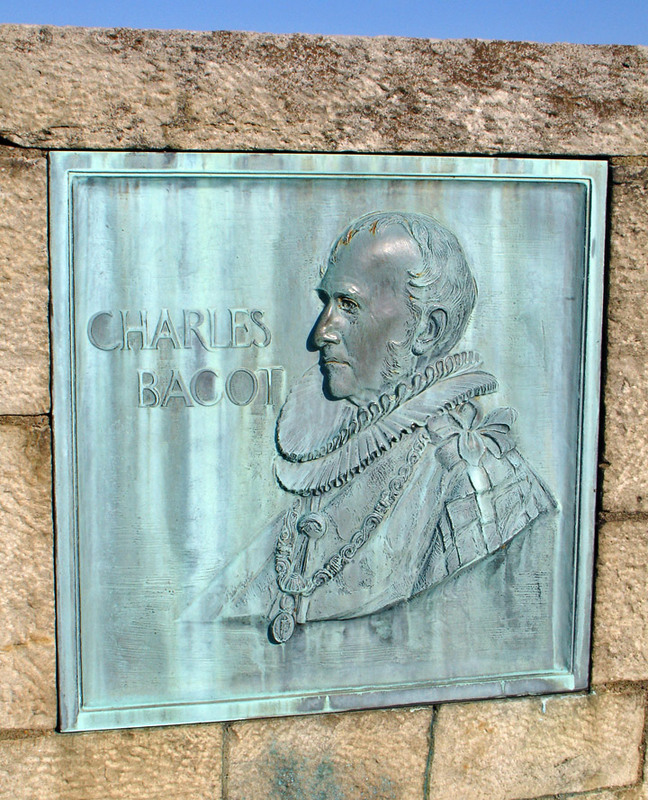 It was replaced by the modern version in 1801. The 15-star, 15-stripe United States flag was flown at Fort Niagara from 1796 to 1818. Fort Niagara's original 15-star, 15-stripe flag, captured by the British in 1813, was returned to the museum in 1994. 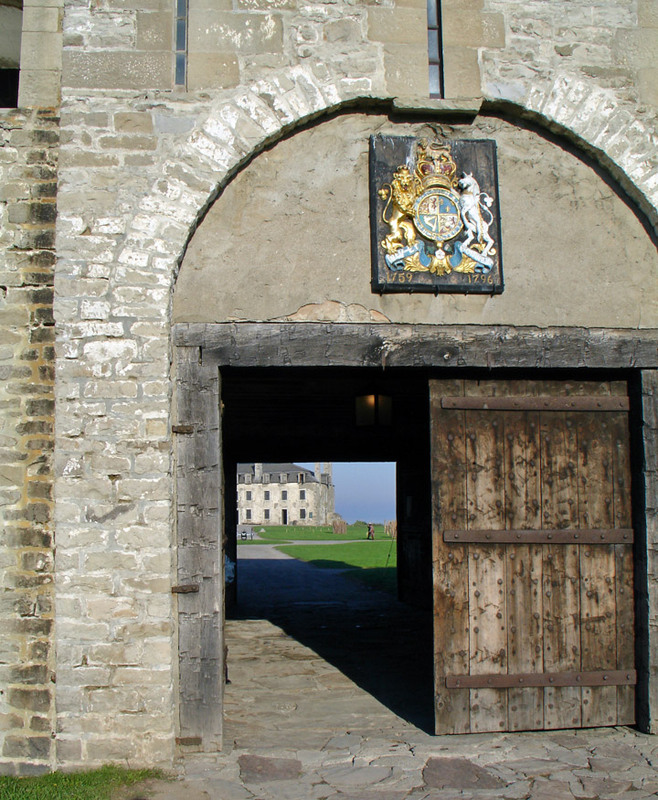 Old Fort Niagara was restored between 1926 and 1934. 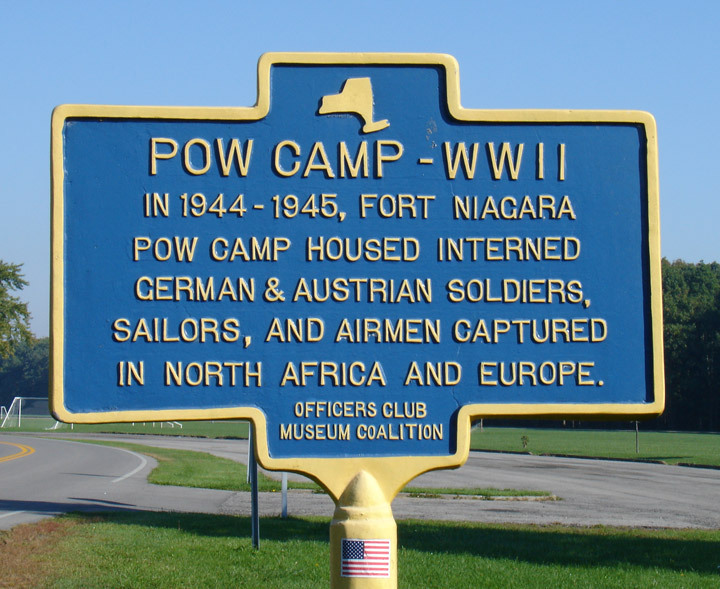 It is operated today by the Old Fort Niagara Association, Inc., a not— for—profit organization, in cooperation with the New York State Office of Parks, Recreation and Historic Preservation. 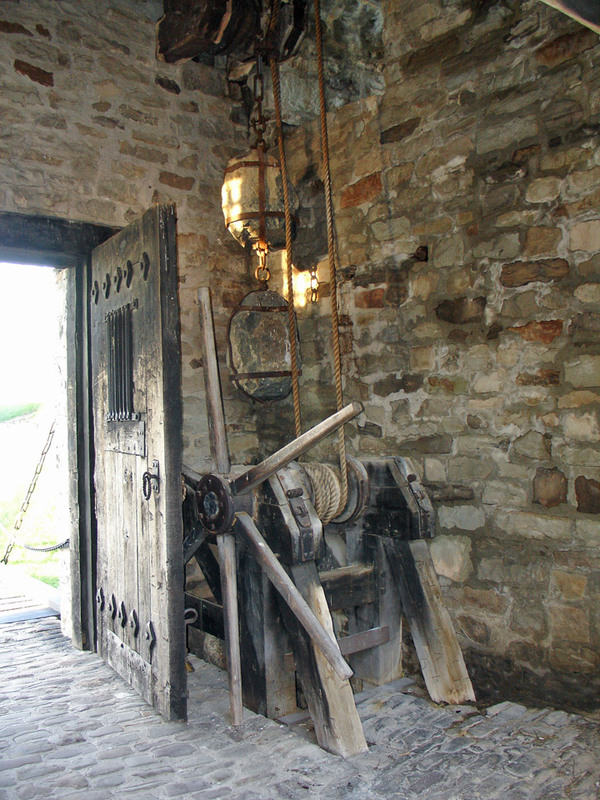 Admission fees, Museum Shop sales, grants and donations provide support for operation of the site.